Children with special educational needs and disabilities should not be treated as problems, youngsters have told MPs. “We’re not problems, we’re not just disabled, we’re not just Send – we are human beings, the same as the rest of you,” one youngster, Ben, told MPs. Ben was one of seven disabled young people who appeared before the Commons Education Select Committee on Tuesday. The MPs are gathering information on Send from a range of groups and will publish a report in the early summer. Ben, who works for Ripstar, a group that conducts research by young people with disabilities for young people with disabilities, told MPs that education, health and care plans (EHCPs) for children with special needs should not be seen as a form or a process but as “a child’s life”. They should be person- and life-focused and “not just about education”, enabling young people to develop life skills, he said. Fellow Ripstar researcher Jordan told the cross-party committee: “I am here to explain how I, and many other disabled people, feel we were cheated out of the education system and treated poorly by it. Jordan told the MPs it was “atrocious” that children themselves were not involved in writing their EHCPs. Eva, also from Ripstar, told the MPs they had found out that was written in care plans was often not being followed through. She also said children should “not be defined by labels” or “seen as a problem to be solved”. Simran, who is studying accountancy and management at Queen Mary University of London and has cerebral palsy, told the MPs that disabled people needed “good role models”. “Growing up I didn’t see a lot of people like me in professions, for example, I’ve never seen a disabled accountant with a speech impediment,” she said. Simran told the committee she often felt judged by what people thought she could do, rather than by her qualifications or what she had achieved. And she felt society did not have high expectations for people with disabilities. “I want to be an accountant, I want to work, I want to contribute to the economy and society but I feel like there are not many opportunities to do so,” she told MPs. Kashifa, who spoke to the MPs alongside Simran, said she didn’t want to be overprotected. “I think people make a judgement about what you’re capable of based on your appearance,” she told the committee. Lastly, the MPs heard from Francesca, 16, and Ella, 14, who are both deaf and sit on the young people’s advisory board for the National Deaf Children’s Society. Francesca told the MPs the transition from primary and secondary school had been difficult, particularly because teachers hadn’t been trained to use a microphone that helped her hear the lesson. She also explained how background noise, which made it hard for her to pick out the sounds she wanted to, had had an impact socially. “In social situations at school I find I’m missing out on situations where I get to learn about friendships and how to interact with people and how to be confident and empowered,” she said. Ella told the MPs about her family’s struggle with their local authority over her EHCP “because the council didn’t think I was deaf enough” and said a lack of support meant her grades “are far below what they should be”. “It’s just a very frustrating process,” she said. The Education Select Committee’s report is due to be published in June or July. 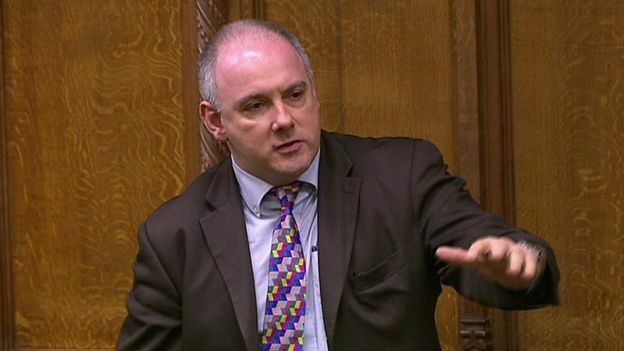 “We just want to make things better for children with special needs,” said Robert Halfon, who chairs the committee.